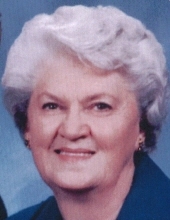 Sally Louise (Hash) Bronson, 79, of Parsons, and a former resident of McCune and Oswego, went to be with her Lord and Savior on Thursday, April 4, 2019 at 2:16a.m., surrounded by family in the emergency room at Labette Health in Parsons, Kansas. She was born November 22, 1939 in Greencove, Virginia to William Robert Hash and Alice Virginia (Ashley) Hash. She grew up one of ten children in the Appalachian mountains of Virginia and graduated from South Holston High School in 1958. She moved to Washington DC to work, where she met the love of her life, Carl Bronson while he was stationed in the service. They were married March 12, 1960 in Berryville, VA and moved to Kansas, where they farmed and raised their family. They celebrated 59 years together. She loved family gatherings, cooking, music, Bible study, flowers and was an avid gardener. Survivors include her husband Carl, of the home, her children, Carla Buntin, and her husband, Kevin of Erie, Susie Robin, and her husband, Scott of Strauss, and Dusty Bronson, and his wife, Tina of Parsons; her grandchildren, Chris Buntin, and his wife, Chelsey of Altamont, Ashley Tromsness, and her husband, Adam of Galesburg, Kyle Buntin, and his wife, Morgan of Erie, Tyler Robin, and his wife, Cearrah of Frontenac, Tessa Johnson, and her husband, Clint of Girard, Noah Bronson of Parsons, Jase Sherwood, and his wife, Kourtenay of Pratt, and Lex Sherwood, and his wife, Ashley of Iola, KS; her great-grandchildren, Raimi, Sage & Sawyer Buntin of Altamont, Alivia Scout, Thatcher & Sailor Tromsness of Galesburg, Sydnee Johnson of Girard, Kendall Buntin of Erie, Kaden & Jax of Pratt, and one on the way; her sister, Bernice Barr of Damascus, VA with whom she shared a special and cherished bond; four sister-in-laws, Linda, Lois, Doris and Mary Abbey Hash; numerous nieces and nephews. She was preceded by her parents, six brothers: Everett, Estel, Orvell, Donald, Glen (Bud) and Conley Hash; one sister Margaret Burnett and one infant brother. Graveside services will be held at 4 p.m., Sunday, April 7, 2019 at the McCune Cemetery with Pastor Les Green officiating. Burial will follow. The family will receive friends at the Carson-Wall Funeral Home from 1:30 to 3:30 p.m. Sunday afternoon. Memorials are suggested to McCune Cemetery or Western Way Cowboy Church and these may be left at or mailed to the funeral home 112 N. 26th St. P.O. Box 942 Parsons, KS 67357. Online condolences may be left at www.wallfuneralservices.com. To send flowers or a remembrance gift to the family of Louise Bronson, please visit our Tribute Store. The family will receive friends at the Carson-Wall Funeral Home from 1:30 to 3:30 p.m. Sunday afternoon. Graveside services will be held at 4 p.m., Sunday, April 7, 2019 at the McCune Cemetery with Pastor Les Green officiating. "Email Address" would like to share the life celebration of Louise Bronson. Click on the "link" to go to share a favorite memory or leave a condolence message for the family.